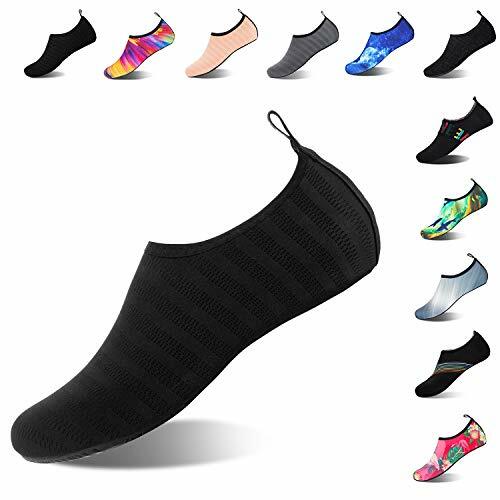 Comfortable feeling: Super lightweight and flexible just like socks,breathable and smooth fabric provide great freedom and comfortable feeling. 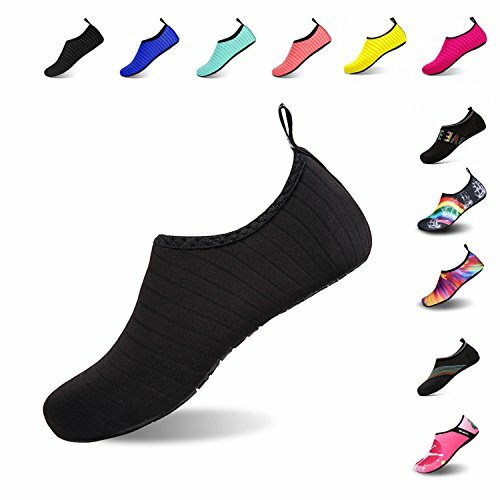 Convenience: Quick-dry water shoes,ultra light weight smooth stretchy fabrics and easy slip-on design make it convenient to wear and take off.Lightweight and compressible£¬easy to fold and carry when you go out. 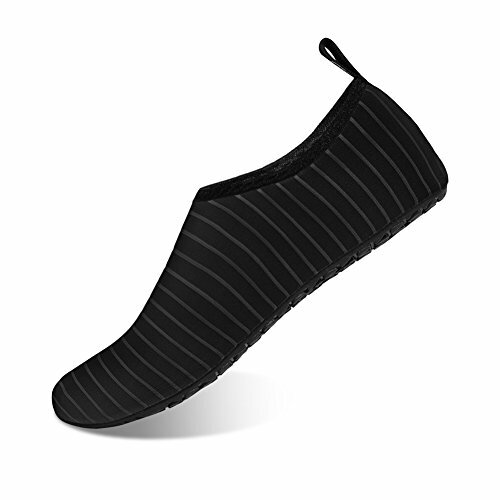 High-quality anti-slip rubber sole: Ultra-Light and Wearable rubber sole protects your feet from being hurt by stone and other sharp objects. 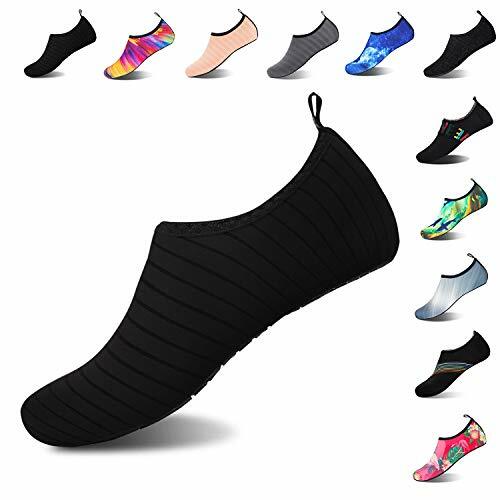 Occasions: Suitable for a wide range of occasions, such as: Beach, swimming, pool,boating, kayaking, windsurfing, beach volleyball, aqua sport, jogging, walking, fishing, gardening,Yoga training. Tips: We provide various size available from XS to XXXL for Women and Men. Please refer to the SIZE CHART in product description.